Do you eat breakfast? I do. Every morning. 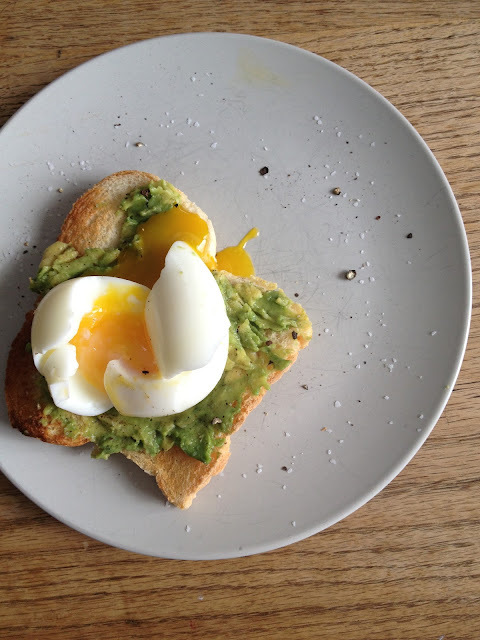 An egg (usually fried with plenty of butter), on mashed avocado, on some sort of carb (usually unhealthy, white toast). Yum, it's making me hungry just thinking about it. Soft-Boiled Eggs: Bring a pot of water to a boil. Add your eggs. Boil for 5 minutes. Remove from the the heat and immediately add eggs to a bowl of ice water. Chill for 1-2 minutes. Peel and enjoy! P.S. I know. Two food posts, one week? Yes. Why? Because it's winter and all I do is eat.